James McGill is a private investigator. 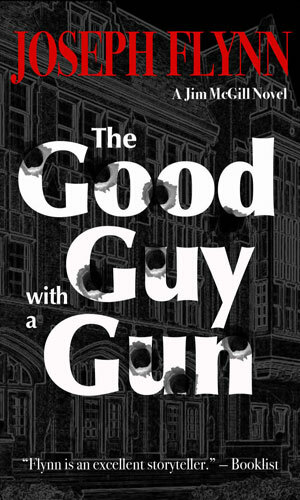 To say that he is a unique private eye would be an understatement for not only is he the first and only man with his particular setup, there is unlikely to ever be another. James McGill has the nickname of the President's Henchman because he is the husband of the American President. The name is autobiographical as he chose it and used it himself a time or two before it was caught up by the press and soon became well known. The term itself is interesting in that according to Merriam-Webster, the definition is "a trusted follower or supporter who performs unpleasant, wrong, or illegal tasks for a powerful person (such as a politician or criminal)". McGill assuredly loves and trusts his wife and followed her to the White House and supports her in all things. And without a doubt the President is a powerful person and a politician so that part fits perfectly. It is the type of tasks mentioned as being done by the position that requires clarification as McGill is not at all above doing unpleasant things on her behalf and illegal is a gray area he constantly seems to face. Wrong, though, is never in issue. McGill is an honorable man. For twenty years, McGill had been a policeman and a detective with the Chicago police department, retiring after two decades of decorated service and remembered there as one of their finest. Then he moved just a tad south to a nearby county where he became the sheriff. Five years later, a case would totally change his life. Andrew Grant was one of the countries richest men and a philanthropist. He was also married to the beautiful and highly intelligent Patti Grant who had moved from a successful modeling career to an even more successful one in the movies and then, with her new husband's support, a successful run for the U.S. House of Representatives. Life was as ideal as it could get. Then the Right to Choose vs Right to Life debate pushed the Grants into its middle when a bill came up in Congress and a firebrand preacher demanded under penalty of death that Grant choose the "correct" path in a vote and when she went the other way, a group led by the minister's wife made good on that threat and fired an RPG into their lakeside mansion and Andrew Grant was killed. The sheriff of the country was McGill and he swore to find and apprehend those responsible. He, too, made good on that promise. In the months that followed, McGill saw a fair amount of the widow and eventually they fell in love themselves. 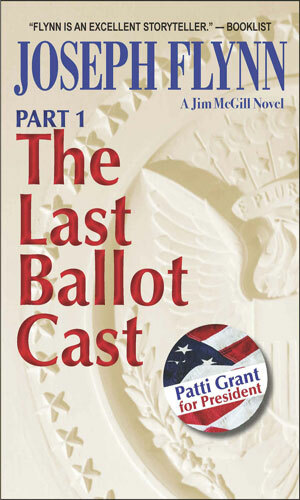 After a time they became an item and soon a married couple and then Patricia Grant McGill decided that she would seek higher office and a run for the White House was met with the same success that her previous careers had enjoyed. McGill was in full agreement with her actions and when she moved into the Executive Mansion, so did he. That, of course, meant the end to his being sheriff and an end to his life in law enforcement. They joked about his being made head of the FBI but it was never more than that. Still, McGill had never been without a challenge and being the first male spouse of the sitting President was without, obviously, precedence. Should he find pet projects to support as had many First Ladies before him? He considered it but then chose a different path. He does not have his office in the White House - that would be politically unwise. He does, however, get involved in lots of things happening in the fine abode and many of them muddle into his cases or vice versa. Having the ear of a woman in charge of powerful organizations is not a bad thing. And for the President, having the aid of a man who has faced more than his share of bad guys and won is a definite plus. 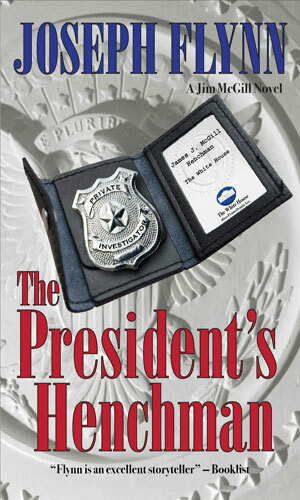 Not a little stifled in the White House, Jim McGill decides to start a new profession, this time as a private investigator. His first case is finding who is stalking a member of the Press Corps, a woman not exactly a fan of his wife, the President. The daughter of a fellow Chicago cop (and not one of McGill's favorite colleague) wants his help spreading the ashes of her dead father in Paris where the man had killed a major sports figure in a brawl. 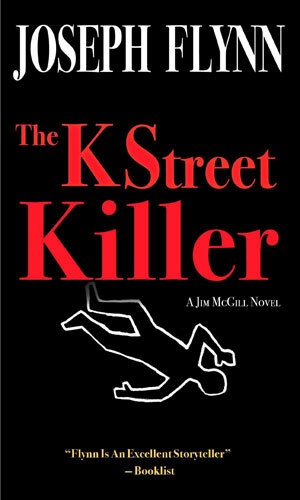 Jim McGill soon learns there was a lot more to the incident. A Shakespeare character's plan to "kill all the lawyers" has been modified to be lobbyists and he has taken out three already. The fourth is the rather slimy landlord of Sweetie, James McGill's partner, and it is to her the appeal for help comes. Naturally she needs her friend's help and he is always there for her. His son is near death needing a bone marrow transplant. His wife, the donor, is near death from a complication providing it. An old enemy has resurfaced and would love to get even any way he can. 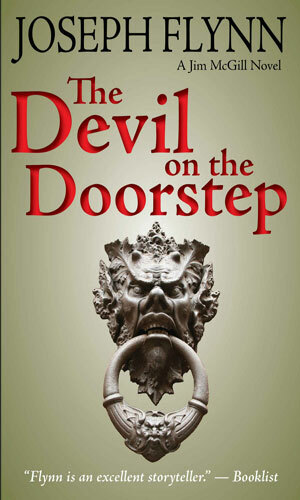 Conclusion to the epic adventure as Jim McGill must find the strength to endure what his family is going through while stopping a very nasty man from making things a lot worse. A large collection of unhappy voters would love to bring down the newly re-elected President by any means, including a bombing by a drone during the Inauguration. While the Secret Service work on that, Jim McGill is also looking into it. 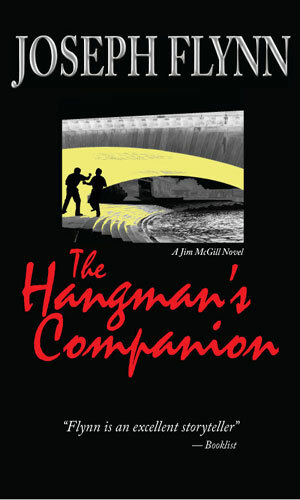 A woman asks Jim McGill to safeguard her husband, a whistle-blower who has powerful enemies. An unhinged football coach goes on a killing spree. A suit tailor with an unusual side business comes to town. The three events get connected. 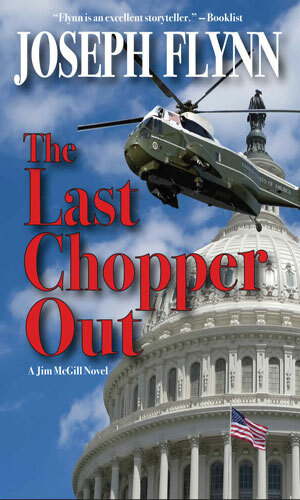 With his wife, the President, impeached, Jim McGill is getting testy. The Chief of Staff sends him to L.A. to work a case of stolen frozen embryos but that case turns out to be a lot more than expected and points right back to Washington, D.C. The Secret Service is using look-alike agents as part of the security for the McGill children. 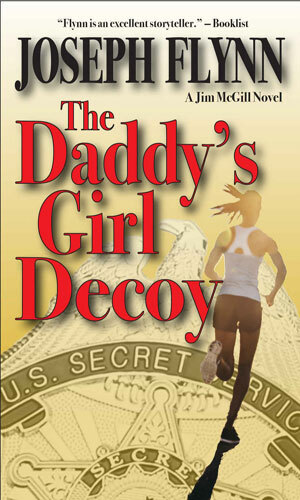 One of them is kidnapped instead of the real daughter and Jim McGill is determined to be a part of the team bringing her back. Los Muertos is a group of killers dedicated to the elimination of James McGill. 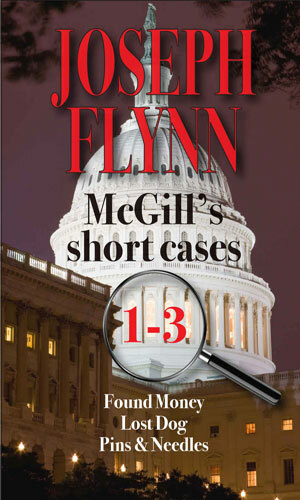 To survive, McGill will need to call upon his friends and colleagues. Things are really going strong for McGill Investigations Intl. 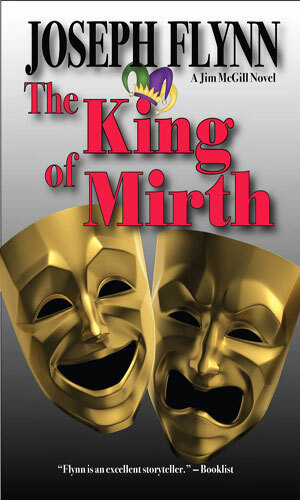 James McGill himself gets involved in a missing person case when an assistant to a performance artist disappears and her dying brother in Germany wants help locating her. Meanwhile the office in Texas is busy looking for a hat - one worn by John Wayne in his final role. First case in the McGill's Short Cases collection. 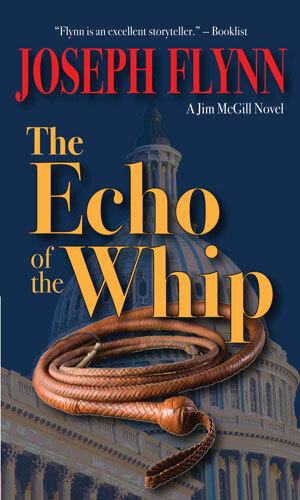 Political enemies of the President want to fake a scandal by making Jim McGill look corrupt. Second case in the McGill's Short Cases collection. A little girl asks Jim McGill to find her missing dog. Third case in the McGill's Short Cases collection. A first-round draft pick of the NFL is being hexed by a voodoo queen and asks Jim McGill to get him free. To say I am a fan is a huge understatement. I was intrigued with the concept and pushed this series to the front of my huge to-be-read list because of that curiosity. I am so glad I did. The writing is swift and sure and there was never a time when I wondered what was going on. I knew what was happening and I loved it. Now, I never loved many of the things plaguing the character but that is normal and desired in a series - adversity that the hero must overcome. McGill is given a ton of that and comes through each time. Often bloodied and bruised but he does make it. And I was right next to him following every word and scheme and twist and punch. I make sure I read at least a couple books in a series before I write up my comments. 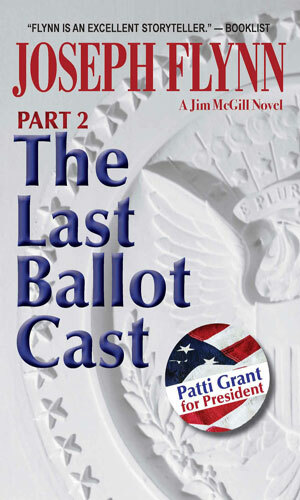 For the McGill series, I read every word first. I did so not because I had to but because when I finished one book, I needed to know what happened next so I grabbed the following tale and jumped right back in. That might imply cliffhangers but that is wonderfully NOT the case. Each book was a fully resolved adventure but there are in any good tale many small threads here and there and it was those that had me hooked. I like McGill a lot. I really like a couple of the supporting characters, starting with Sweetie. And a lobbyist named Shady (appropriate). Celsus the grouch (my term and more like me than I'd care to admit). And many more. It is a good series and I hope he continues it for some time.